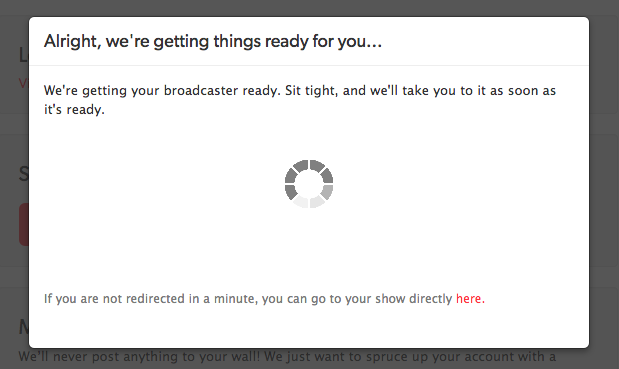 First, login to your Concert Window account, and click the "Play A Show" button in the top right corner. Enter the date/time for your show, set an admission price, and name your show. Then, click "Continue". ..your mobile broadcaster will be ready. 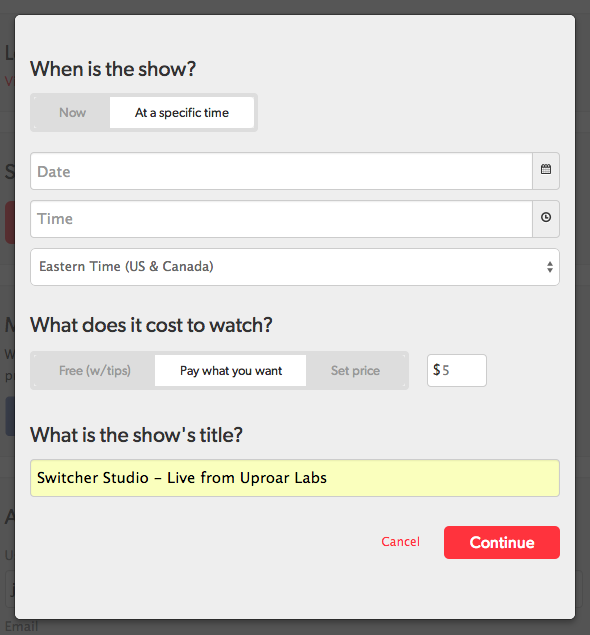 From the broadcaster, click the "RTMP" tab above the preview window. 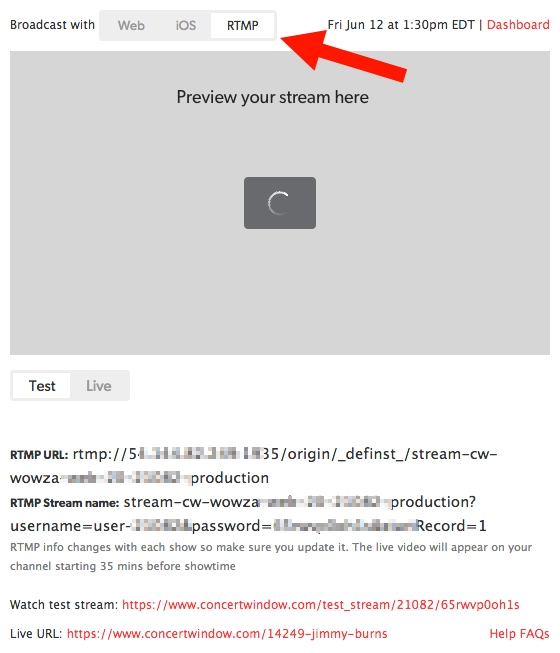 Your RTMP URL and Stream Key will be displayed below. Copy and paste these settings into a channel on your Switcher Studio dashboard. 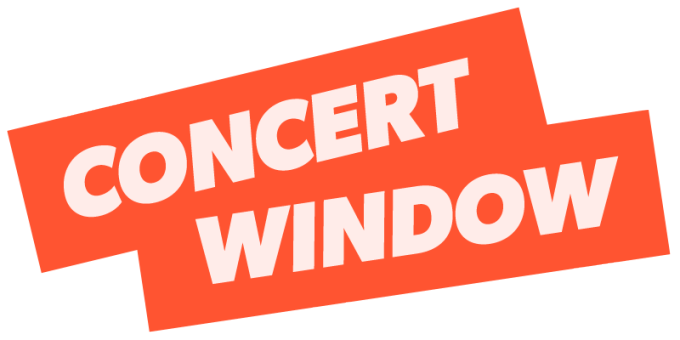 PLEASE NOTE: You will need to retrieve these values each time that you create a new event with Concert Window.